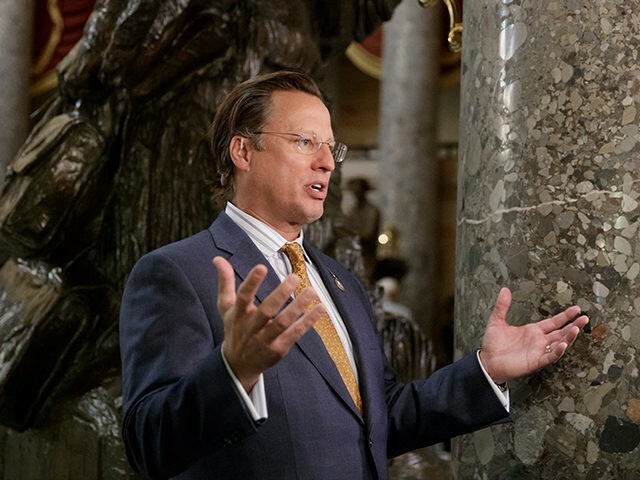 “If we fail on this, just picture Europe,” said Rep. Dave Brat (R-VA) of what would happen if Congress failed to permanently repair America’s “broken immigration system” and just passed another amnesty instead. Brat made his comments on Friday’s edition of SiriusXM’s Breitbart News Tonight in an interview with Breitbart News’s Senior Editor-at-Large Rebecca Mansour. America will resemble “France, Sweden, Germany, [or] the Netherlands” in the absence of enacting an immigration system “for the benefit of American citizens and U.S. workers,” said Brat. Rep. Steve King (R-IA) echoed Brat’s position in an interview with Breitbart News Tonight aired last week, calling for prioritization of border security and interior enforcement of immigration law over any consideration of amnesty for foreigners illegally residing in the homeland. You need permanent fixes to the broken immigration system before any DACA negotiation takes place, because DACA is an automatic and permanent three million increase. So DACA’s 700,000 times three or four, and that gives you the three million, and that’s permanent, so you don’t trust anything. Our side always gets rolled, we get promises for internal enforcement. Obama was all in favor of that, right? He even added spending, more agents, more this, more that, and then he said, “Hey, agents that we just hired? Don’t follow the law of land.” He told them not to enforce the law. Drawing on the expansion of previous amnesties, Mansour asked how politicians’ promised parameters of a new DACA-style bill could be trusted. We’re already hearing decay from the original permanent policy, even on [chain migration]. They’re starting to say, “Well, maybe just [chain migration] for these people, and maybe not just DACA, more than DACA.” So, you’re right. It’s just like [the amnesty granted under] Reagan. You really don’t trust. That’s why I emphasize the permanent fixes. You need permanent fixes to the immigration system that’s broken before any DACA negotiation takes places, because the DACA is an automatic three million permanent increase; so DACA’s 700,000 times three or four, and that gives you the three million, and that’s permanent. So you’re right, you don’t trust anything, right? “I can’t think of anything worse for Republicans than to vote against that series of policies,” cautioned Brat, referring to the aforementioned “permanent fixes” he proposed toward immigration policy. Republican focus on amnestying millions of illegal immigrants, said Mansour, is divorced from President Donald Trump’s popular mandate on issues relating to immigration. Noting that President Trump won in 2016 on “a very hard-line immigration platform” that was “wildly successful,” Mansour said that grassroots conservatives found this push for DACA amnesty, instead of the popular Trump immigration agenda, concerning. Breitbart News Tonight airs Monday through Friday on SiriusXM Patriot channel 125 between 9:00 p.m. and midnight Eastern (6:00 p.m. to 9:00 p.m. Pacific).